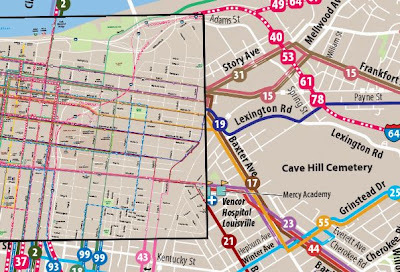 Have you ever wanted to take the TARC, but had trouble navigating the myriad images and PDFs of all the routes on their site? Here is an interactive map that shows a satellite road map with a toggleable TARC route overlay on top! Zoom and pan instantly to your heart's content to see how to get around Louisville.